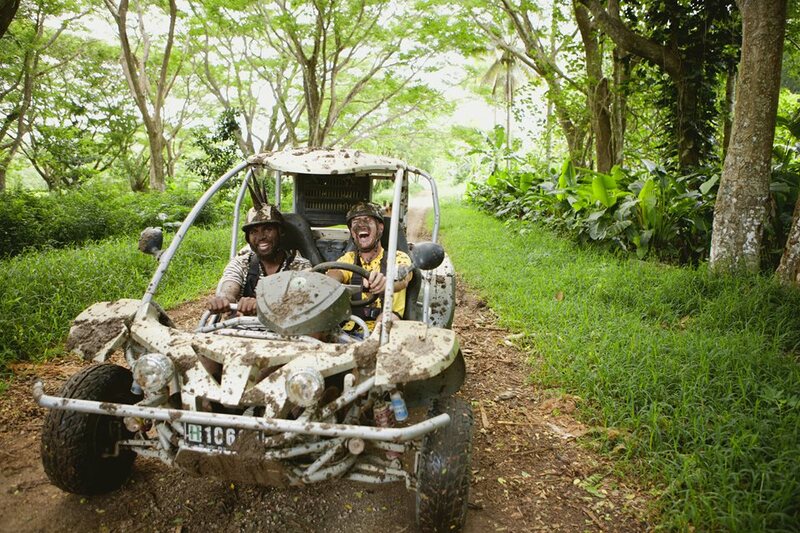 Efate’s mix of mountains and coastline offers a varied and vast range of activities for adventurous types. Not high enough? Then tackle the six ziplines and two suspension bridges hanging 80 metres above a canyon at Vanuatu Jungle Zipline in Mele Bay. 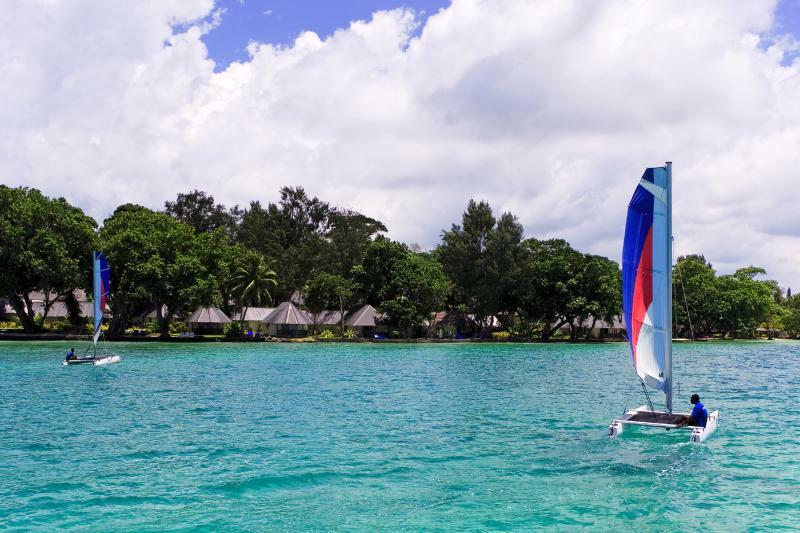 Those with no head for heights can opt for one of the many water-based activities that Vanuatu has to offer – kayaking along the serene Rentabao River, scuba diving among the islands off Efate’s north coast, or jet skiing or kite surfing at several coastal locations. While that can be found at many of the resorts along Efate’s coastline, a handful of properties have added features to crank up that lovely feeling. Some of the bungalows at The Havannah have private plunge pools, while Holiday Inn has burés over the lagoon. Erakor Island Resort offers private beach champagne picnics while Eratap’s 12 bungalows deliver absolute seclusion. Many couples dream of a beachfront wedding ceremony, and Efate has plenty of suitable venues from a low-key affair at Sunset Bungalows or Poppy’s on the Lagoon, to traditional island celebrations complete with warriors at Warwick Le Lagon, or a secluded ceremony on Holiday Inn’s private Erongo Island. Photographers, florists and hairdressers can all be found nearby. 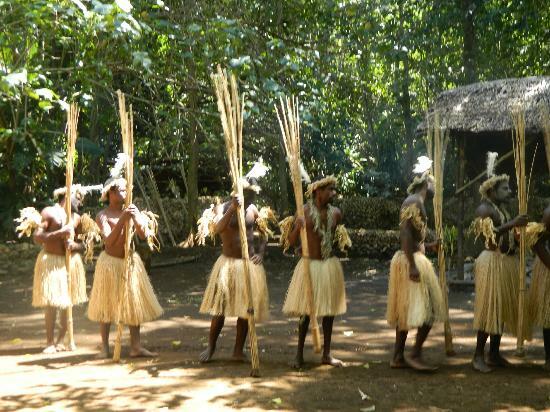 Check out Vanuatu Tourism Office’s dedicated weddings website (http://weddings-vanuatu.com) for more information. 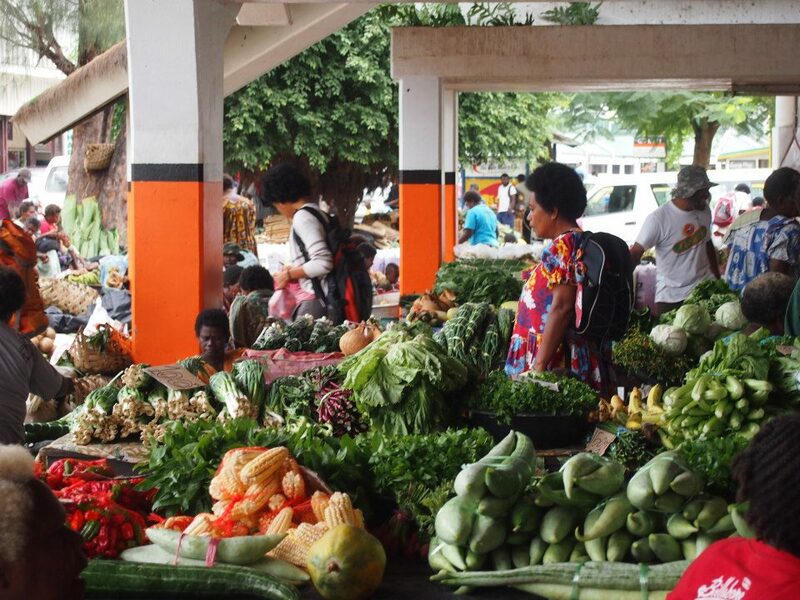 Fresh produce lines the wooden tables of Port Vila Market round-the-clock from Monday through to Saturday. 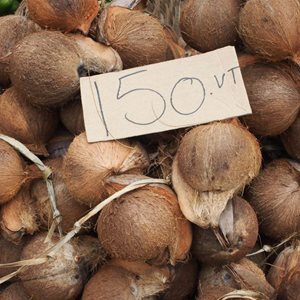 Here, find the ingredients for traditional dishes such as lap lap, a staple meal of grated yams and coconut cooked in an underground oven. 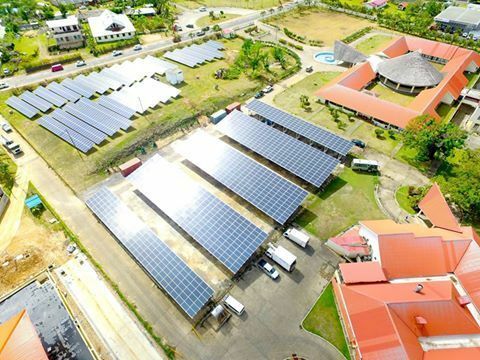 But the island’s colonial heritage has also left its mark on the national cuisine, which blends local ingredients like prime beef and fresh seafood with French cooking techniques. Chantilly’s on the Bay is renowned for its delicious food, and other resorts such as Warwick Le Lagon, Iririki and the Havannah are investing heavily in their food and beverage offering. Although some of the best surf is to be had among the outer islands, Efate also offers some decent breaks for surfing enthusiasts, or those simply keen to give it a try. The waves at Breakas Point and Pango Point along the south coast can rise to an impressive 2.5 metres. Nearby resorts Surfside and Breakas Beach Resort cater to a surfy crowd, with Eratap and Erakor Island also located near popular surf breaks. Would-be surfers can take lessons with Saltwater Riders out on the lagoon, while wave-wary companions can opt for a stand up paddle boarding classes instead. Unwind right in the midst of nature by dipping a tightly-wound toe in the Nasinu Hot Springs at Takara close to Beachcomber. At this natural phenomenon, visited by Holiday Solution’s Round Island Tour, you can enjoy a soothing soak in the healing waters or wallow in a rejuvenating mud bath. 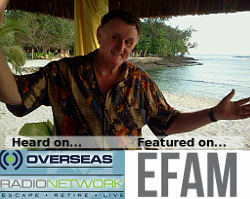 For more luxurious pampering, head instead for one of Efate’s many day spa for a treatment with a twist. Body and Soul offers traditional island massage and volcanic hot stone, while the Volcanic Earth Healing Centre specialises in volcanic ash body scrubs and wraps. 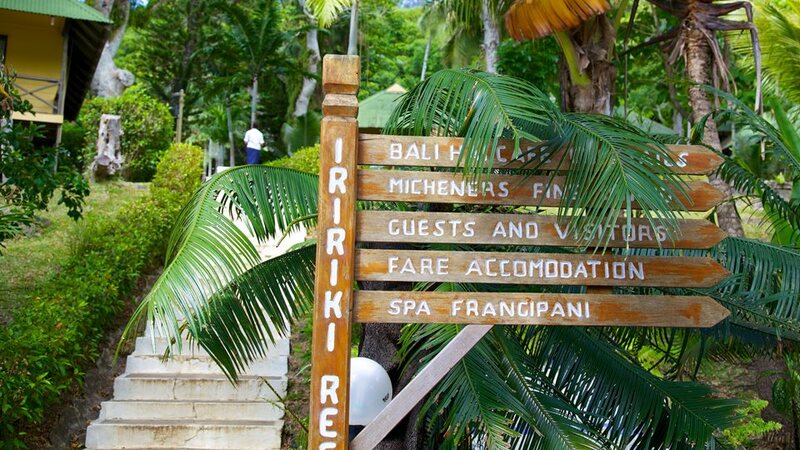 The island’s first day spa, Spa Frangipani at Iririki, performs a wide range of Thalgo treatments. 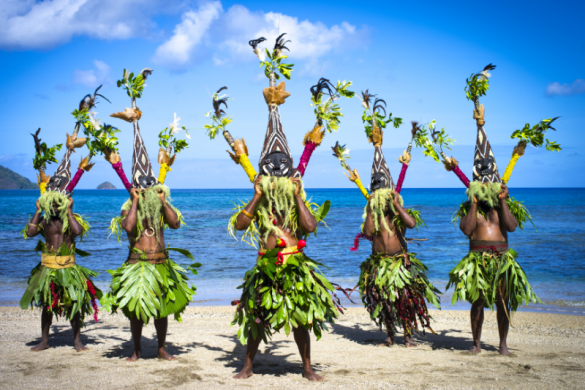 Although the most developed of Vanuatu’s islands, it is still possible to track down an authentic cultural encounter in Efate. A short boat ride across the startling blues of Havannah Harbour delivers visitors to Lelepa Island. Although known for excellent snorkelling and its supposedly haunted caves, Lelepa can offer visitors an authentic village experience over a cup of afternoon tea. Slightly more touristy, Iarofa Cultural Village and Ekasup Cultural Village on the mainland also offers a fascinating glimpse into traditional life. Chanting warriors welcome visitors before a spokesman reveals the ins and outs of daily life. Traditional hunting and fishing techniques are demonstrated before one daring warrior performs a fire walking ceremony. 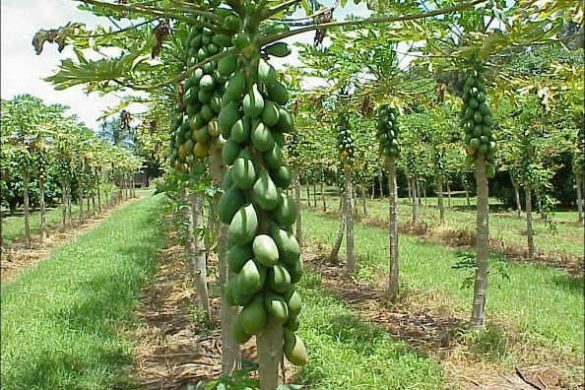 Some may think it tastes like mud, but kava has been drunk in Vanuatu for around 3000 years. Traditionally drunk in a tin-roofed hut called a nakamal, the earthy drink has a mild soporific effect that tingles the lips as it induces sociable ease. 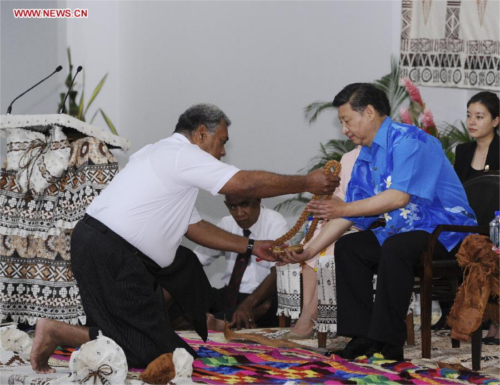 Port Vila is home to more than 100 nakamals, where tourists are generally welcome to pop in and enjoy a sunset coconut shell of kava as they please. The best ones to try are Crow’s Nest Kava Bar near the Coral Motel, and Ronnie’s Nakamal in Nambatu. Can’t get past the taste? 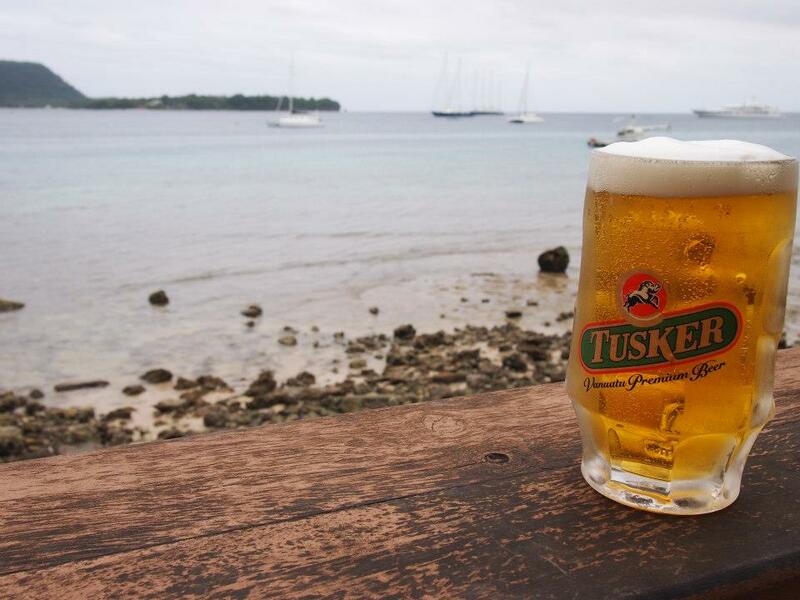 Then opt for a cold refreshment and grab a bottle of the local Tusker beer instead. With more than 158 species of orchids, 21 varieties of palm tree, 80 butterflies, 121 birds, 30 reptiles and 12 types of flying fox and bats, Vanuatu has a huge menagerie of creatures to keep nature lovers entertained. 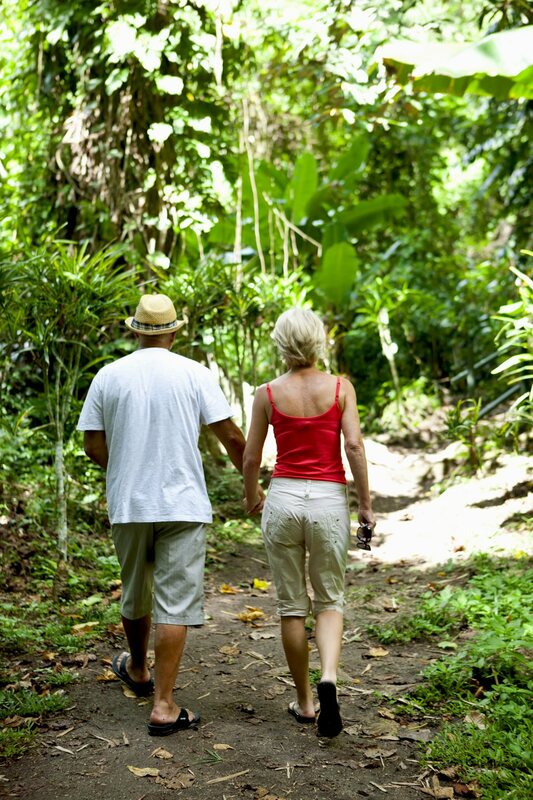 Take a horseback trail ride through the rainforest with Club Hippique or a walking tour through the countryside with Vanuatu Eco Tours to really commune with the local landscapes. 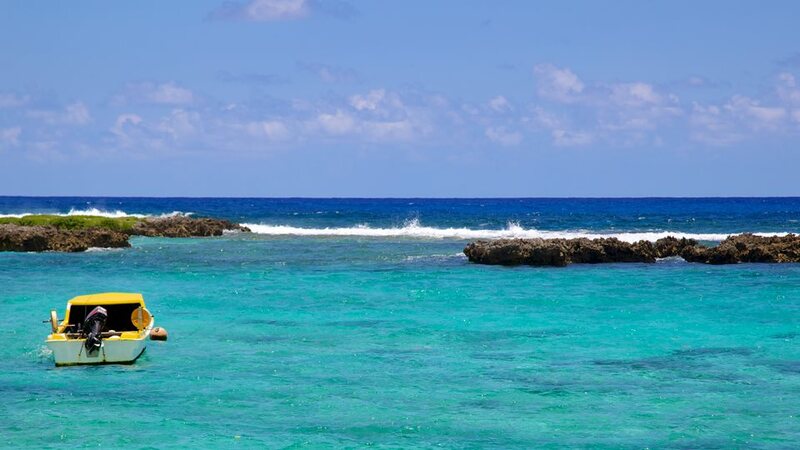 Or go for a snorkel among coral trenches teeming with tropical fish at Hideaway Island Marine Reserve. Better still, it is also the site of the world’s only underwater postbox. In Havannah Harbour, beaches aren’t the regular mish mash of sand and shells. Scattered among the crooked palm trees are tiny fragments of glass Coca-Cola bottles, their jagged edges smoothed by the passing of time. 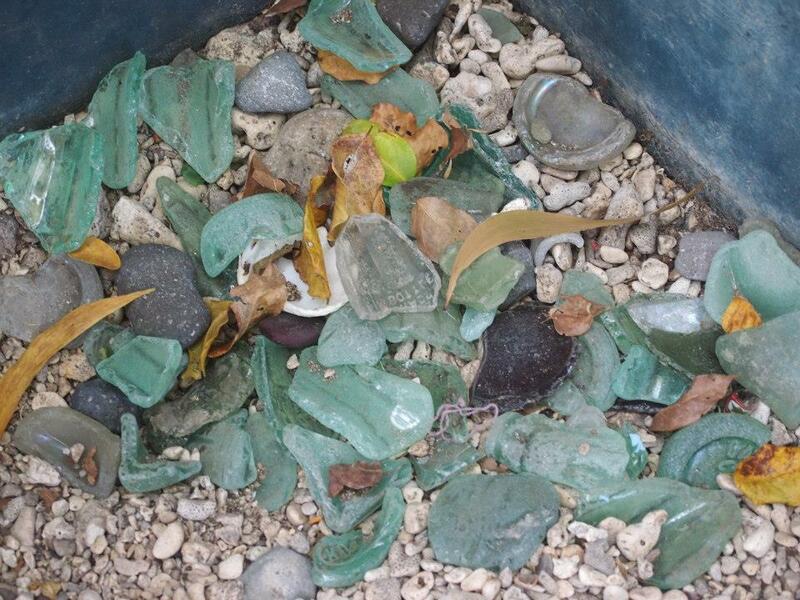 It’s not that this beach is littered in the traditional sense – these are relics of Efate’s military past, left behind by sweet-toothed American troops during World War II. With the wartime memorabilia he has collected over the years, local enthusiast Ernest Kalakoa has set up a World War II Museum in a roadside corrugated tin shed. Here, he shares the history of each dinner plate, gas mask and aircraft part, with visitors also able to purchase a souvenir. 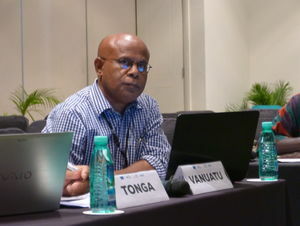 The number of sporting events held in Efate is on the rise, with the island’s natural resources being put to good use. The Vanuatu Open Water event each June features a 3.2km swim around Iririki Island, or a shorter 1.5km triangular-routed swim in the harbour. In the same month, a new addition to the events program, the Masters in Paradise rowing regatta, takes to Erakor Lagoon. 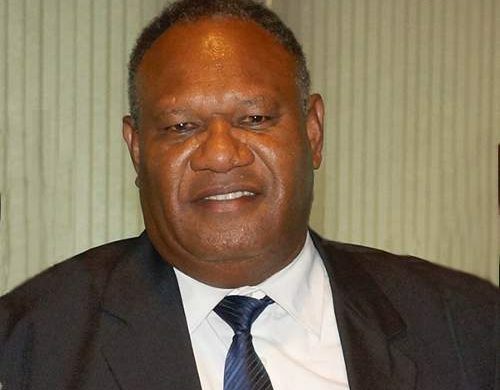 On dry land, the Wilco Relay each July is a 10-leg relay race around the island of Efate for ten runners in several categories – from the serious to the social. Or sports lovers can swap the panting for partying by joining a 10,000-strong crowd for the annual Kiwanis Charity Cup – the only horse race in Vanuatu.